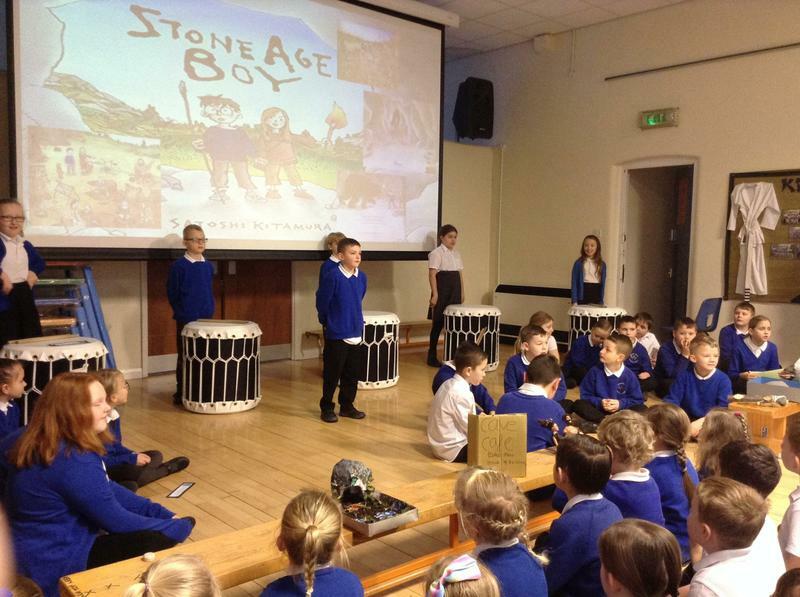 This term we will be learning all about the Stone Age. 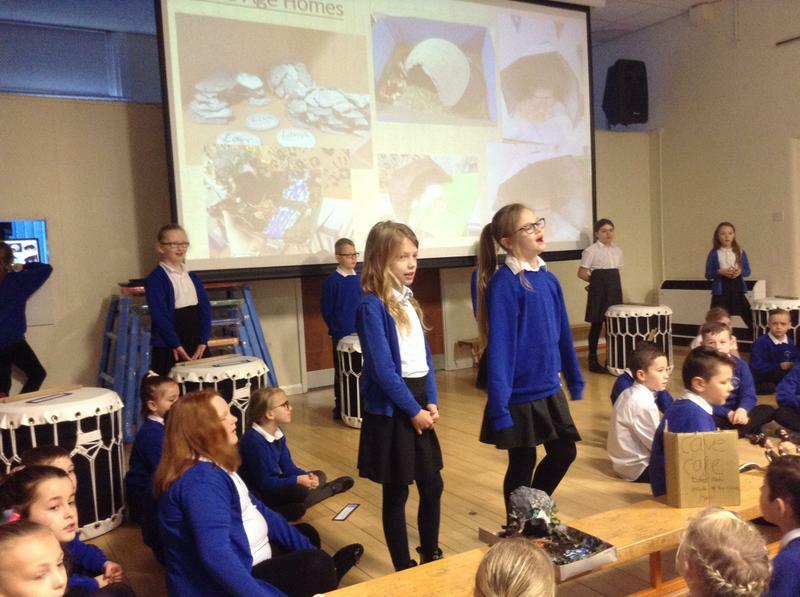 Focusing on life as a hunter gatherer, how and where they lived, Skara Brae and survival. In the first half term, we will create our own cave paintings, charcoal artwork, Stone Age mark making and much more. Science will focus on Rocks and Soils, looking at the Rock Cycle and beginning to look at the structure of the Earth and Volcanoes. In the second half term, we will write non-chronological reports, explanations texts and newspaper reports. 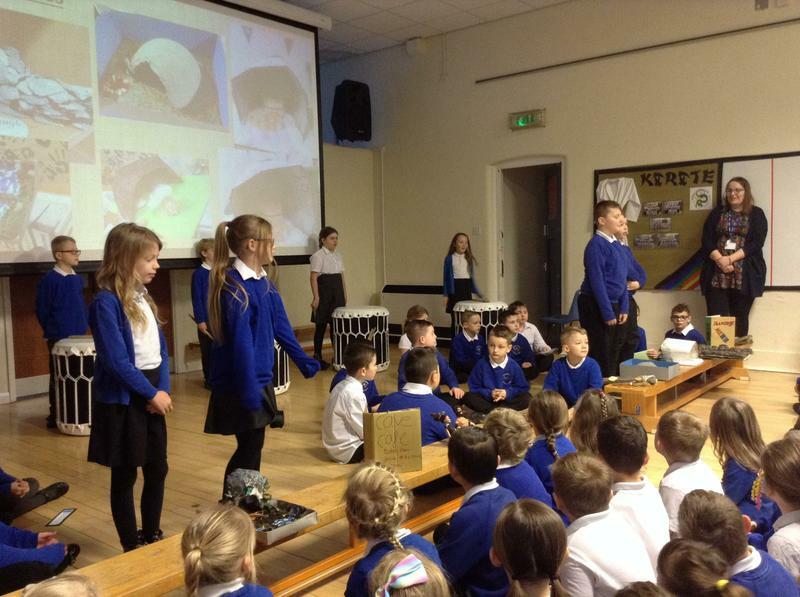 We will make our own Stone Age shelters and weapons.We will look at sound in Science, how it travels and why it is important. We will visit Creswell Crags on 4th April. 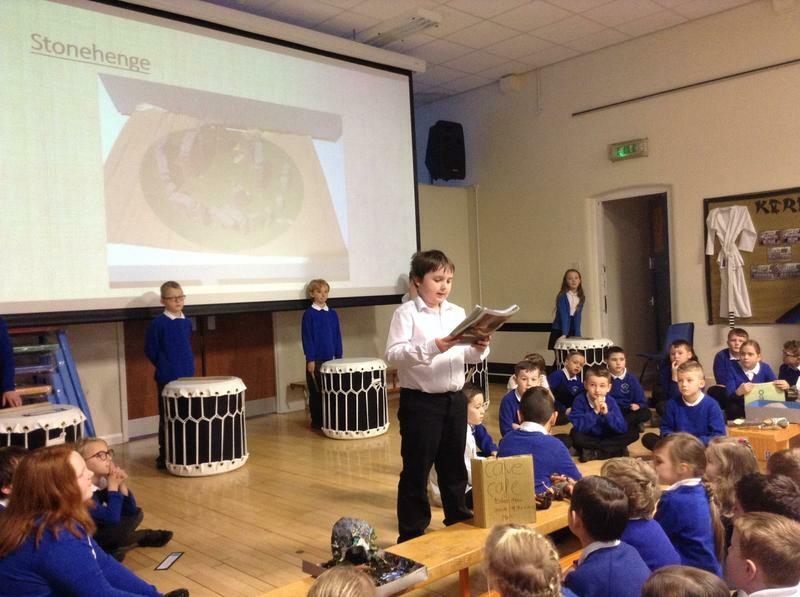 During our class assembly we shared work we have produced in class but also celebrated the fantastic homework we have produced throughout the Spring term. We explored Stone Age weapons, homes, food, animals and Stone Henge. We also sang 'We will rock you!' 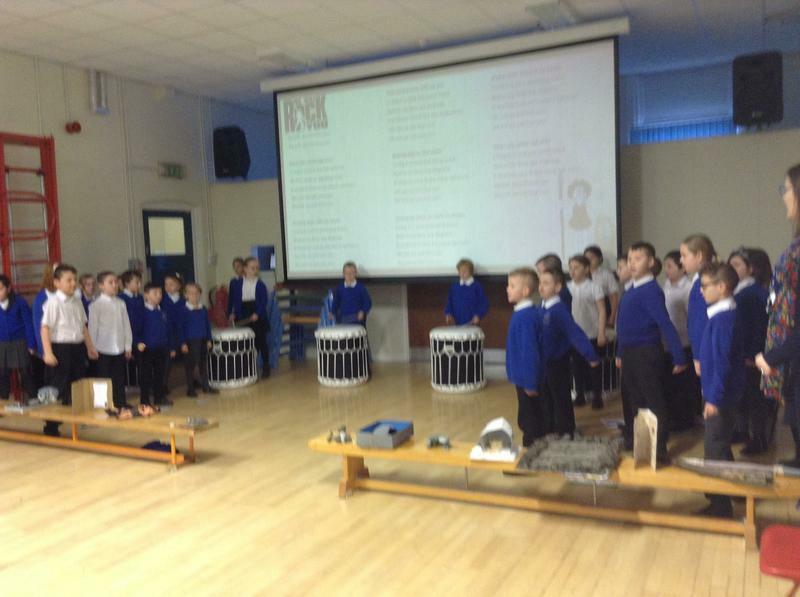 using our Taiko drums to create a beat. Our parents and teachers were so proud of us! In our first half term we will explore the origins of chocolate by learning all about the Aztecs. Our English lessons will be based on our class book, Charlie and the Chocolate Factory and we will be writing detailed character descriptions, writing diary entries from various points of view and then thinking about how the story might end. Topic lessons will look at the Aztec Empire, how it was created, how they lived, how the community was organised and all about their demise. Finally we will visit Cadbury World before half term. In our second half term, we will focus on how Chocolate became one of our most favourite treats and will use our visit to Cadbury's World to research the Cadbury Family. 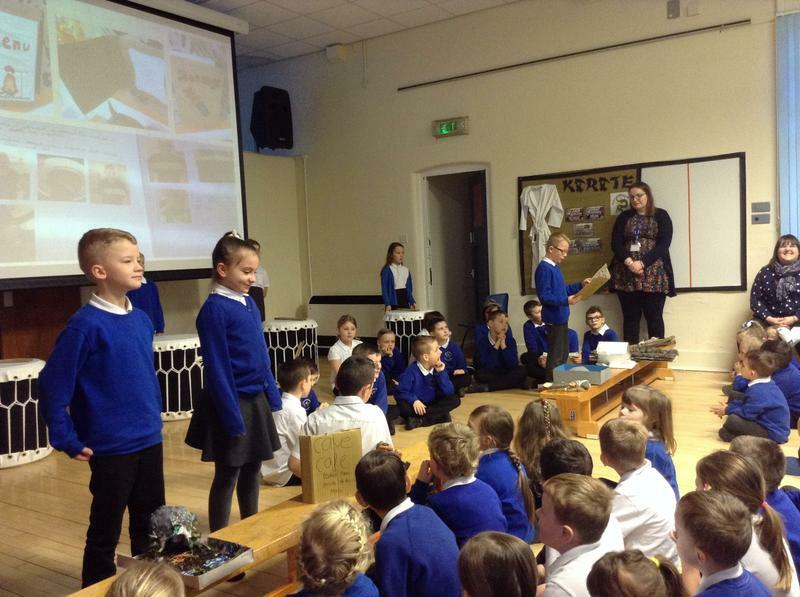 We will also design, make and market our own chocolate bars as well as look at how to persuade people to buy them.